Schmidy’s Tavern has cemented itself as one of the few places to go to hear new, original, live music every week. Having just hosted the hugely successful, 2 day, Concert for Autism with over 20 live bands, the Tavern is readying itself for more bands, some of which have recently played some high profile, major venues and one who has reached international popularity. This Friday, Schmidy’s Tavern will treat you to local bands Moon Baby, The Brosquitos, Dali’s Llama and Elektric Lucie. Elektric Lucie: Several submitted their music to play the annual Tachevah Block Party, only a few were chosen to compete for it. Elektric Lucie was awarded the honor of competing at the Hard Rock Hotel in Palm Springs for the annual Tachevah Block Party, hosted by the Desert Sun and Goldenvoice. Elektric Lucie, from Coachella, has toured venues and festivals all over California and Mexico, including the House of Blues in San Diego and Hollywood. 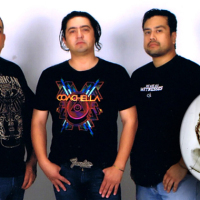 The alt-rock band born from ex-Members of ZINEMA and other Coachella based bands, has recently finished their first EP, recorded at Music Proz, engineered by Alfonso Recio in Indio, and is currently being mixed and mastered at Lava Sounds in Mexicali, Mexico by Eric Ortega. It is set to be released this November. Following their show at Schmidy’s, the band will be featured at House Lounge in LA and has been chosen to perform at the Synergy Fest in Coachella, November 15th. 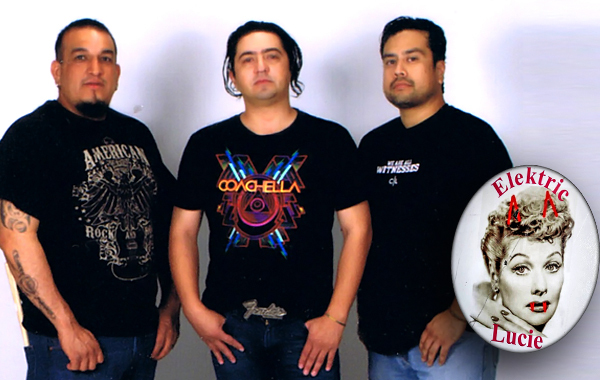 Electric Lucie is made up of front man, Viktor Estrada on guitars and vocals, Jorge “Bassman” Carrillo on bass and chorus, Hernan Hernandez on drums and percussion and Danny Sandoval on keys. 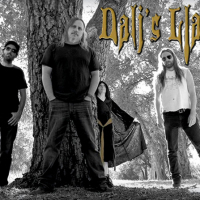 The foundation of their music has an energetic, driving beat delivered by insanely steady and tight drums, bass and percussion that have a definite Latin flair while still maintaining a put-your-fist-in-the-air, solid, rock and roll feel and sound. In addition to their tasteful guitar licks, the strong, clear vocals in both Spanish and English complete this amazing bi-cultural rock experience. But perhaps the best thing about this band is that they do it for the sheer love of playing music, and it shows. That great energy pours out from the stage and over their audience and that, after all, is what it’s really all about. 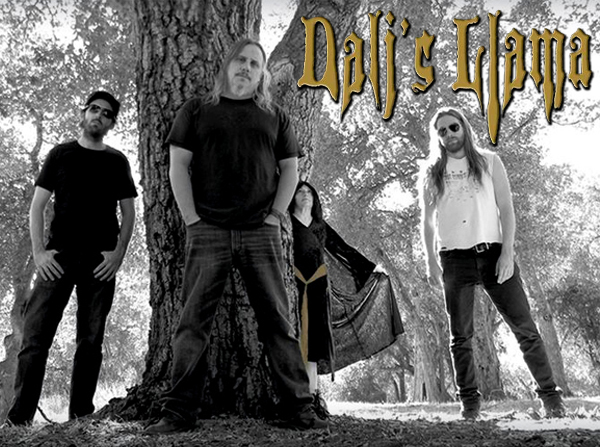 Dali’s Llama: Dali’s Llama has been producing some of the desert’s heaviest, grittiest collection of the most nakedly honest and raw rock and roll since before the early incarnation of desert generator parties. Chronically overlooked by locals, and worshiped by music lovers in Germany, Norway and the heartier parts of Europe, Dali’s Llama founders and co-creators, Erica and Zach Huskey, are still passionately at it after more than 2 decades of creative tenacity. With integrity and determination, they have been blazing the DIY trail on principle, long before the changing, over-saturated music industry made it a necessity. Recipients of the Coachella Valley Music Awards, 2014 Trailblazer Award, Zach and wife Erica Huskey, have been part of the fold that is responsible for what the music world now calls the “desert rock” or “stoner rock” sound. Not one to water down his music or opinions Zach recently shared, “I’m really sick of this ‘Stoner Rock’ thing. I don’t know how Desert Rock turned into Stoner Rock. It was never meant to be that way,” shared Zach. “I feel like I’m getting old,” Zach joked. “I approach our new music like it’s going to be the last Dali’s Llama album ever and I want it to be the best.” If you consider yourself a fan of the desert music scene, you really don’t qualify if you have yet to see a Dali’s Llama show. 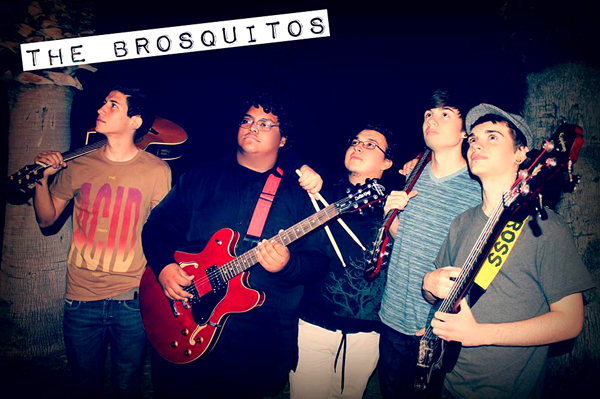 The Brosquitos: This is a BAND TO WATCH! Too young to play past 10pm at most venues, they are mind-blowingly talented with nothing but time to hone their craft. After meeting and speaking with James Johnson, founder and frontman for the band, I have the highest hopes for the future of this band and their music. “It all started with the school talent show, here at Desert Hot Springs High School,” James shared. “We played a cover song that people thought was one of our own. 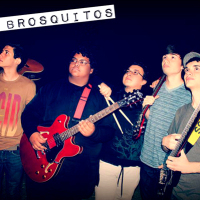 It actually became a hit at our school!” Since then, The Brosquitos have played at Pappy and Harriet’s in Joshua Tree, DragonFly in Los Angeles, in front of Interscope Records in Santa Monica, The Federal Bar in Hollywood, and the Marquee Academy of Performing Arts in Palm Springs. Most recently, the band was chosen out of several applicants to perform at Mix 100.5’s, Acoustic Palooza at the Hard Rock Hotel, Palm Springs. The crowd response to this band was phenomenal, rivaling that of the extremely dynamic and talented headliner, Andy Grammer. Like old pros, they took to the stage and owned it, as well as the crowd. “The experience that Mix 100.5 and Bradley Ryan gave us was completely breath taking,” shared James. Stumbling for the words to describe it, he finally said, “It was a feeling of exclusive happiness.” Having been there to witness their performance, I’d say they managed to transfer that same exact feeling to their audience. The Brosquito’s recorded a brand new single just this week. Their music has a very new and refreshing, young feel to it, but is very much anchored in the influences of the timeless and authentic music that predates them. Beyond their obvious skills in song crafting and performance, this band, via their front man, emanates a maturity beyond their years that I would love to see in some bands with twice their years and experience. Humble, grateful, responsible and driven, I’m confident this band will continue to bring much pride to the community and the school that they represent. 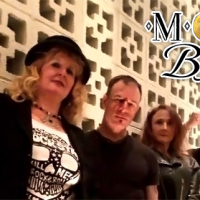 Moon Baby: Members Georgia Terlaje on keyboard/vocals, Bobby Lucarelli on drums, Janet Janes on bass/vocals, Zallen (aka Michael Allen Jones) on guitar/vocals/piano will take the stage for a rocking dinner set from 6pm to 8pm. Hailing from Palm Springs, describing themselves as alternative rock, this will be their debut performance at Schmidy’s following a strong performance at the Tavern’s Open Mic night. They currently rank #3 on Reverbnation’s Palm Springs, Alternative chart. Next articleLocal Musicians Make the Big Time: Ozzmania LIVE on AXS TV!